According to the American College of Prosthodontists and a Mayo Clinic research report "missing teeth need to be treated as a chronic medical condition like diabetes, high cholesterol, or heart disease." 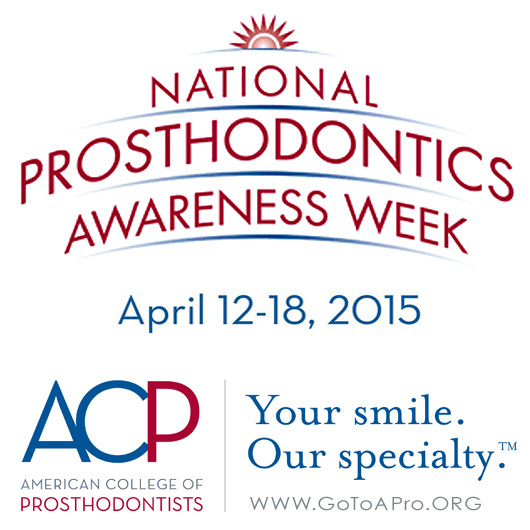 Prosthodontics is a dental specialty. Prosthodontists train an additional three years after dental school and focus on replacing missing teeth, the bone structure and function of the mouth and face, and other oral health issues. The extra years of preparation also helps them develop many skills necessary to offer comprehensive cosmetic dentistry services. "People ask me if they have to replace a missing tooth in the back of the mouth since no one can see it. My answer is yes,” said NPAW Chair Avinash S. Bidra, of the University of Connecticut School of Dentistry. “When you lose even a single tooth, it will result in bone loss, change the bite, cause food impaction... The longer one waits... the more challenging the clinical situation is." “The chronic condition of missing teeth affects one’s quality of life from eating nutritious foods to enjoying social activities.” said Matilda Dhima, D.M.D. and assistant professor at the University of Pittsburgh School of Dental Medicine. And even if you aren't missing any teeth, you may know someone who does. The ACP claims 178 million Americans are missing at least one tooth, and 33 million Americans having no natural teeth.